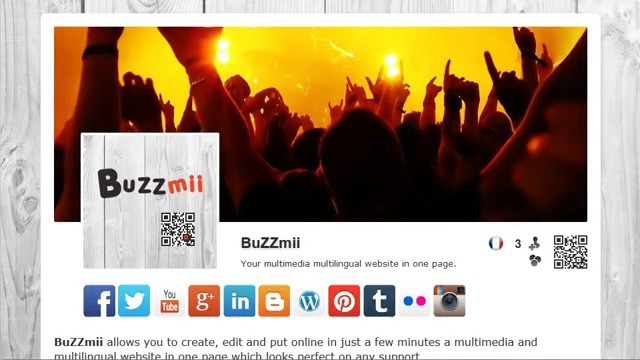 Connection You don't have an account on buzzmii.com yet? Sign up and create your website for free. Model Display the demonstration page with all the explications on all the possible options. Guide Learn how to edit your personal page and how to publish it on the web in 10 minutes.